Plot Synopsis: Con artist Lawrence Jamieson (MICHAEL CAINE) is a longtime resident of a luxurious coastal resort, where he enjoys the fruits of his deceptions — that is, until a competitor, Freddy Benson (STEVE MARTIN), shows up. When the new guy’s lowbrow tactics impinge on his own work, Jamieson resolves to get rid of him. 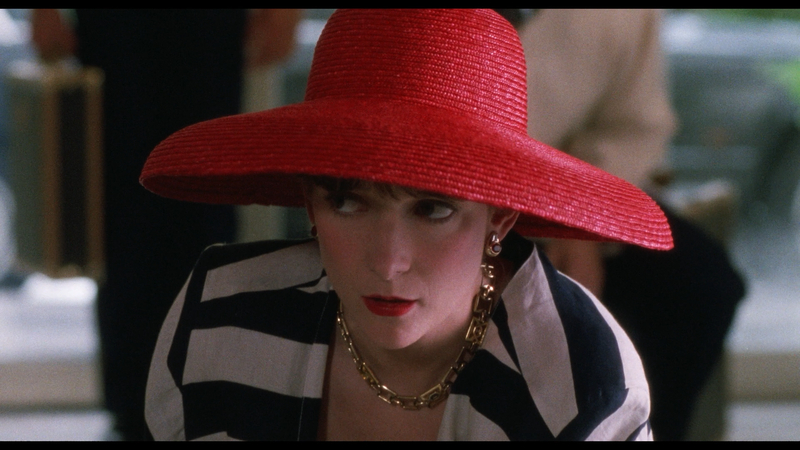 Confident of his own duplicitous talents, Jamieson challenges Benson to a winner-takes-all competition: whoever swindles their latest mark, Janet Colgate (GLENNE HEADLY), first can stay, while the other must leave town. 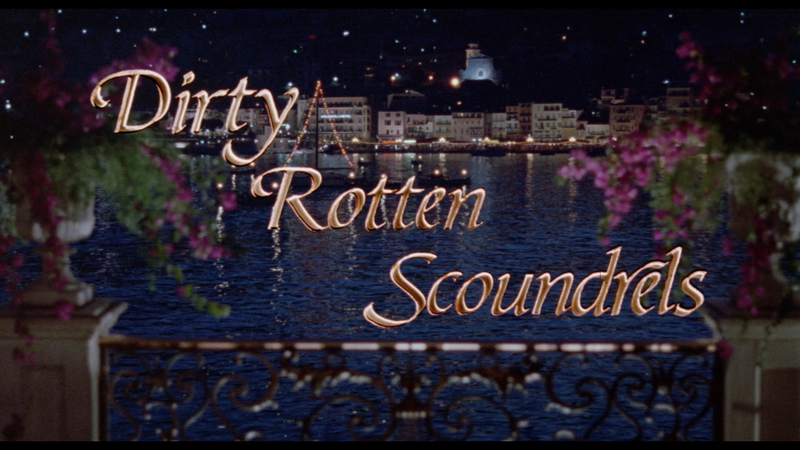 Quick Hit Review: Dirty Rotten Scoundrels is a movie I last saw probably a decade ago and while I did like it, I don’t quite consider it a 1980s classic as some, but it is still a whole lot of fun even when you know the outcome, which was more than satisfying. 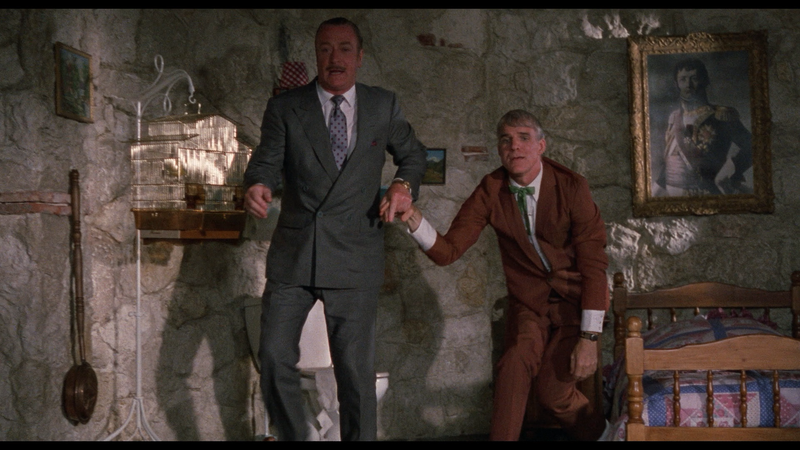 I did love the dynamic between the proper Michael Caine contrasted with the wild and zany antics of Steve Martin. Added to the mix is the late Glenne Headly who I don’t think got her proper due as a comedic actress and here she was utterly adorable and held her own opposite both Caine and Martin. The film is in part a remake of a 1964 film called Bedtime Story starring Marlon Brando and David Niven. This version was directed by Frank Oz, a bit of a journeyman filmmaker, and probably better known for his voice work on entities like The Muppets, helming mostly comedies with the oddity of The Score thrown… for some reason. This is probably one of his better features although both HouseSitter and Bowfinger have special places in my heart. 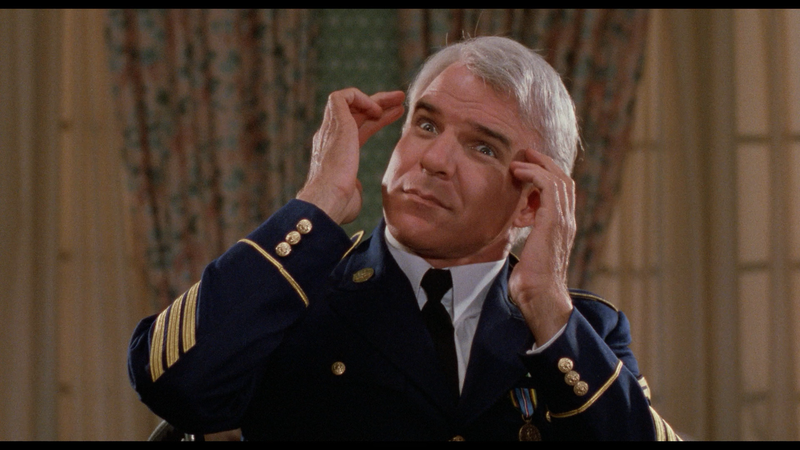 All in all, while I certainly did enjoy Dirty Rotten Scoundrels, it didn’t quite hold up as well as other comedies from the 80s, mostly knowing the “twist” at the end. But even so, I did genuinely laugh at plenty of the jokes, not to mention the clash in comedic styles between Steve Martin and Michael Caine. This release comes with a matted slip cover and the interior artwork is reversible, the flipside is the film’s original poster art. There are not a ton of features for this Shout Select release with an older Audio Commentary with Director Frank Oz, a Vintage Featurette (6:47; HD) from 1987/88, a new Interview (23:25; HD) with Writer Dale Launer, a Trailer (1:57; HD), a Teaser Trailer (1:04; HD) and the Teaser Trailer w/ Commentary (1:04; HD). 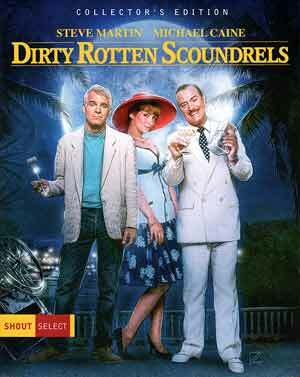 Dirty Rotten Scoundrels arrives on Blu-ray, shown in its original 1.85 widescreen aspect ratio and has been given a 1080p high-definition transfer taken from a new 2K scan (no mention from original film elements, however). But whatever the case, and without comparing it with the 2013 MGM release, this looks rather good with great sharpness and detail throughout while colors are bright without the appearance of being artificially bolstered. The only minor drawback is there were a couple ever small specs but nothing too apparent nor distracting. The movie comes with presumably the same or similar DTS-HD Master Audio 5.1 track that was on the 2013 Blu-ray. Dialogue does come through the center channel with good clarity and there is some modest depth by comedy genre standards with some noise coming via the rear channels for ambient sounds. On the plus side, there were no apparent pops or hisses. 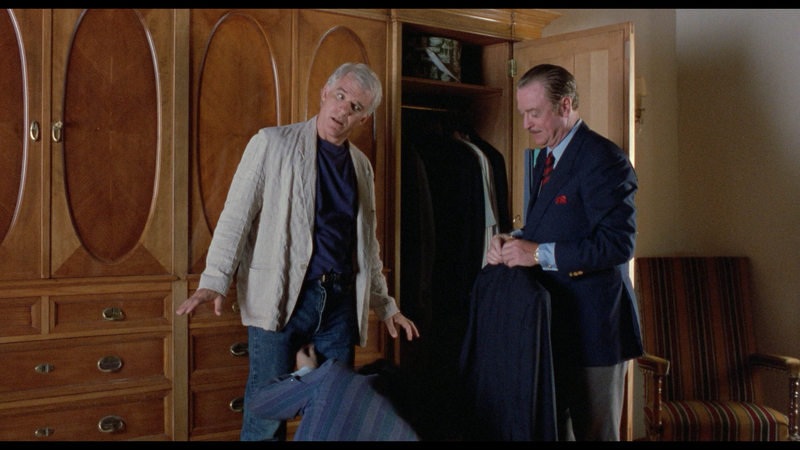 Overall, Dirty Rotten Scoundrels might not rank high amongst my favorite 1980s comedies, but this is still a funny film even when you know the ending. The dynamic between Steve Martin and Michael Caine was great and it is a shame we never got some sort of sequel. This Blu-ray release from Shout Factory under their “Shout Select” line offers up great video and good audio transfers, and an okay selection of bonus material.